For use with Shimano Dura-Ace CS-7800 10spd Cassettes. Bought this so i could fit a 10 speed cassette to a 9/10 speed hub. Does what it say on the tin! Can this spacer be fitted to use the 8/9/10 Deore FH-610 hub with the 10sp CS500-10 cassette? If you are fitting a 10 speed cassette to the FH-610 hub, you will not require any spacers. Hi! Could You Tell Me The Inside And Outside Diameter? Thank You! I want to use it as 1mm spacer on the freewheel for a 1995 HG Cassette. The original part had the strip pattern of the casette, but as long as the inside is 35 mm it may do the job. May be you have also the original style part ? Thank You. 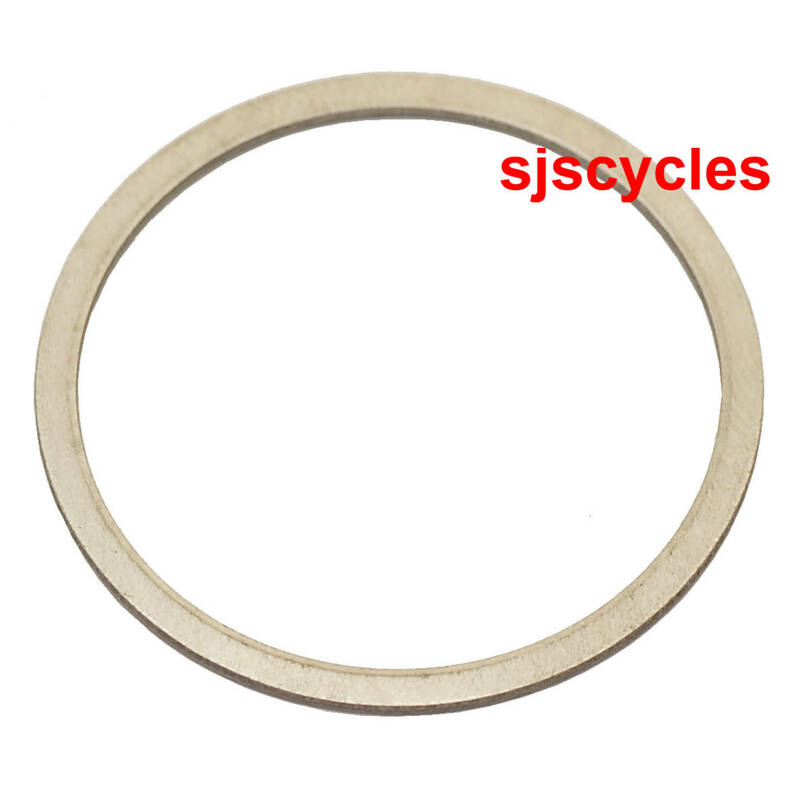 The inside diameter of this spacer is 34.5mm and the external diameter is 39.5mm. Will shimano dura ace cs7800 1.0mm cassette spacer work with cs6700? Is it a low spacer? Thank's for the answer in advance. Yes it is a low spacer and is the exact same one as used with the CS-6700 cassette.